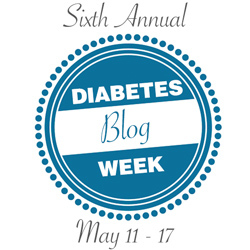 four sweet kids..two with diabetes: Dear Abby! I have this friend. She has the worst neighbors. Example A: One set of neighbors blasts music most days, and into the night. It ranges from good to bad. They also play in their hot tub with other adults into the morning hours (after midnight) every Saturday night. They also have bright lights they shine into my friend's little boy's room. Until after midnight. Example B: Another set of neighbors by them party all night too. They have their kids out dancing and doing gymnastics on the lawn at 11pm with lights and music going. They also dirty (nasty) dance (an adult!) in their driveway to raunchy rap music (think naughty words) in the daylight. Now, my friend wants to know what to do. She's incredibly non-confrontational (includes aforementioned meat and cheese) (includes blinds, drapes, and beach towels over the kids' windows at night plus stereo going with peaceful music to drown out Bad Medicine) (and includes hunting at Wal-Mart after ten pm looking for the dog-be-quiet remote control As Seen On TV). What's a girl to do? ps-They have one set of nice neighbors. They're not all bad. Just sayin'. Ugh! We have neighbors that do some of that, but not all the time, thankfully! As far as the dog, check your local laws/ordinances to see if there's anything about barking dogs. There is where we live. After I put a typed, signed 'neighbor' on their door about how the dog could be taken away because of the barking, it pretty much stopped. Only hear it occasionally...and that I can handle. You're not kidding. Your friend DOES need help. I feel for her! Does your friend have a Homeowners Association with CC&Rs? Could your friend report the neighbors to the HOA? Similar to what Denise suggested, are there any local laws regarding noise? Perhaps a call to the authorities is in order. Considering your friend is non-confrontational, could she perhaps mail a letter to her neighbors, requesting they change their ways and requesting a little respect? I wish your friend lots of good luck! I can only imagine how difficult this must be for her. HOLY COW! I wonder if I am your friends neighbor with the raunchy dancing and loud music! LOL. We actually play music outside in the dead of winter while ice skating on our backyard rink. I have heard this noise and one would think they were at a nearby ballpark or down at the U of A at a collegiate event. Since you have already done everything you can, probably calling authorities to have a decibel check done would produce the most results. Is this tiny barking dog left out in this heat full-time? If so, he is begging for help to escape his uncaring owners. When I spent the night and the sound was so awful, I turned on all the outside lights, and the sound came down. The one by MC's window shines right down into their pool.